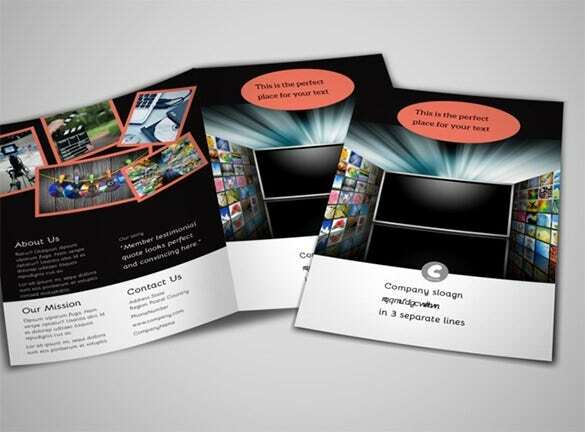 Using free video brochure templates is a good marketing technique to attract the attention of the prospective customers and to induce them into purchasing the product or service advertised by you. 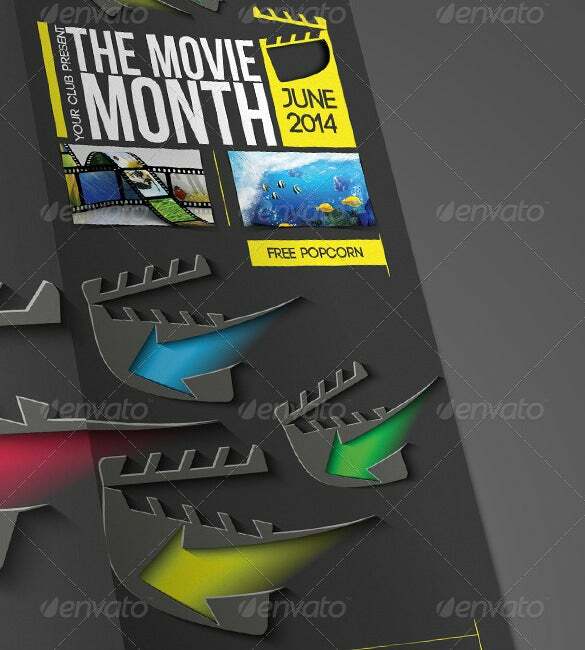 Free PSD video brochure templates uses brief, instructive and attractive videos. 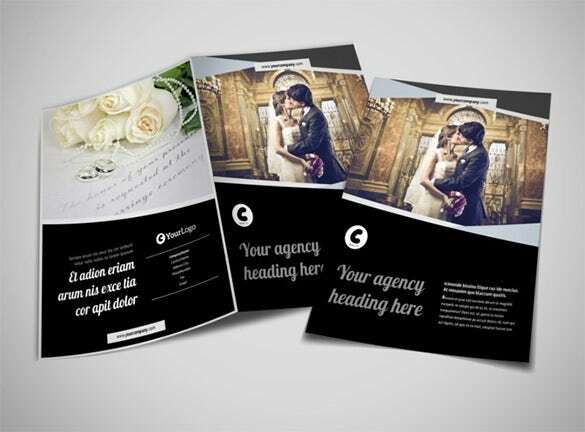 These are completely customizable and you can create the precise brochure design Template that you want. 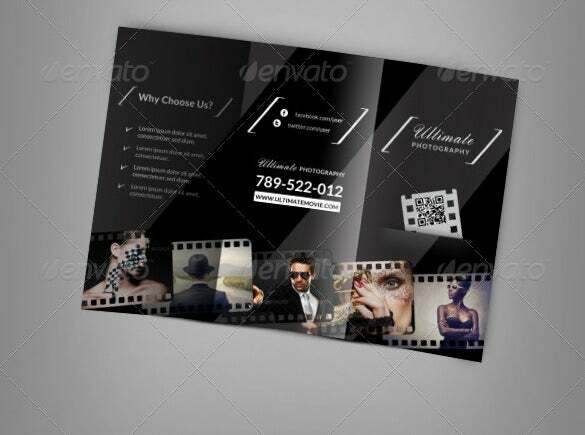 You are getting a tri-fold 6-page video brochure template in a classy combo of black & white backdrop. 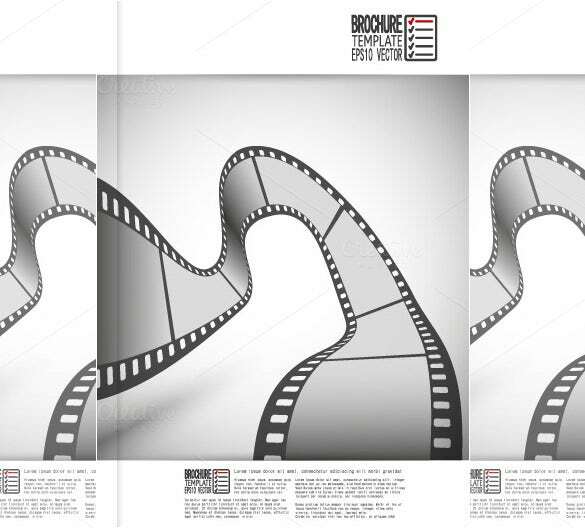 You can utilize a lion’s share of the cover page for interesting visuals while there is also space for textual brief. 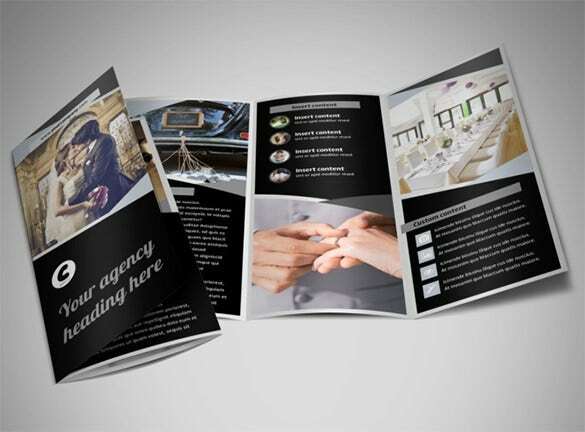 If you are looking to adorn the cover page with a medium-sized picture and small text details, this is the brochure for you. The brown dominance in the interior pages forms a great backdrop for white texts. 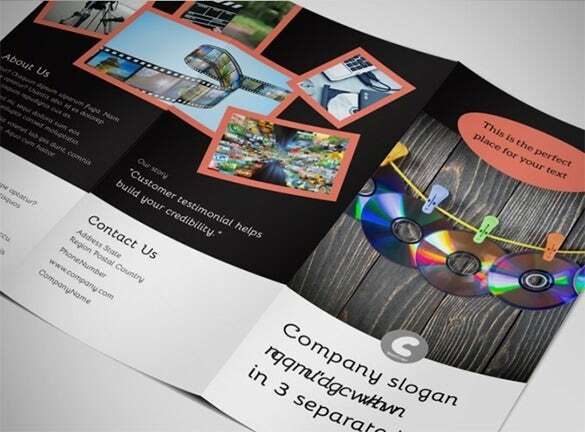 You are getting a tri fold 6-page brochure template that offers you good space to flaunt the cover page with an attractive image. 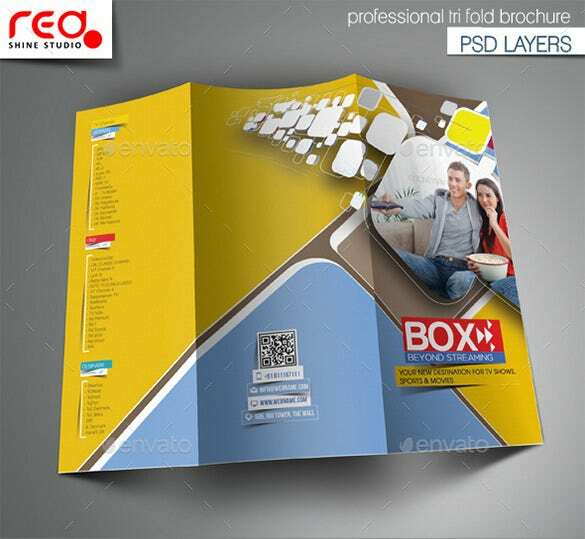 The internal pages have spaces for both images and texts. 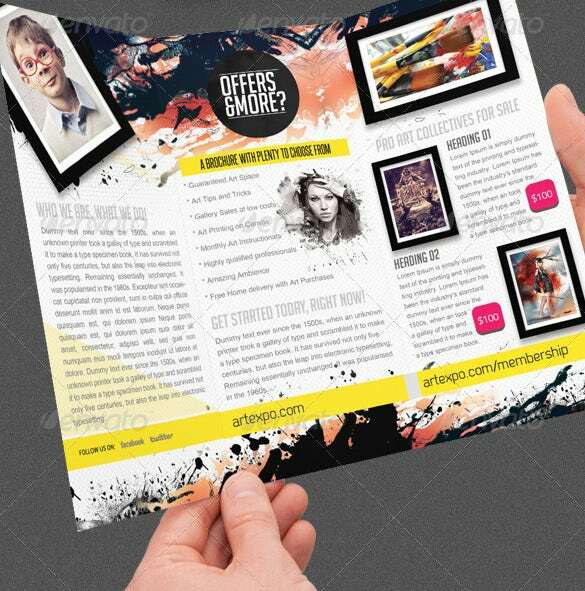 The black and yellow combination presents a smart contrast- if textual description is primary for you, this brochure would e handy. You will also find small boxes to upload your images. 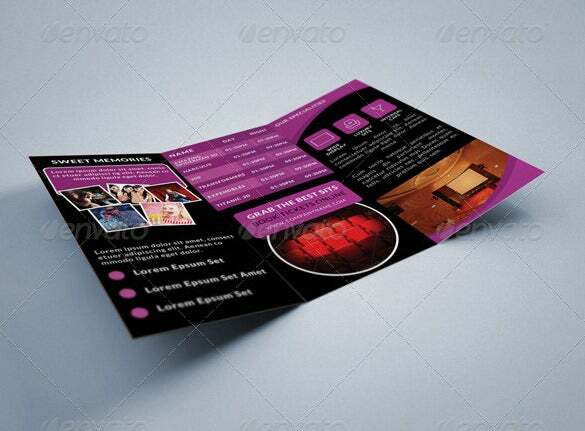 If you have too many images to present in your brochure and 40% text, this brochure template would be helpful for you. The black backdrop makes a classy background for textual details. 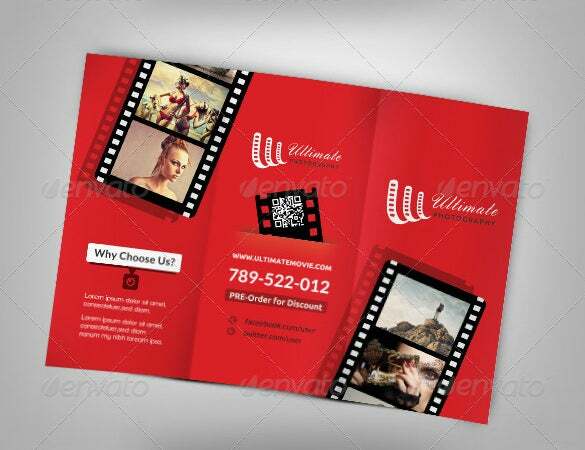 With the ever increasing number of people turning on the net for all kinds of information, promoting business through free video brochure templates has become very popular. 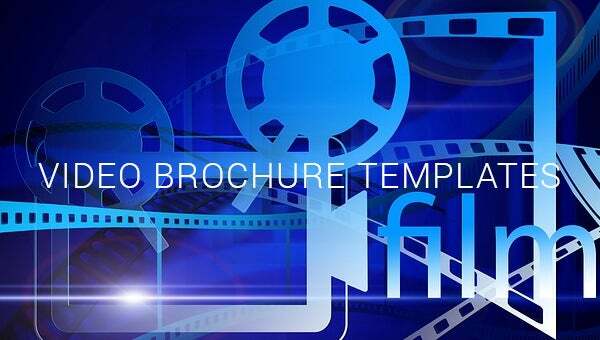 All you need to do is download the video templates and make the necessary changes and then it is ready to be displayed.